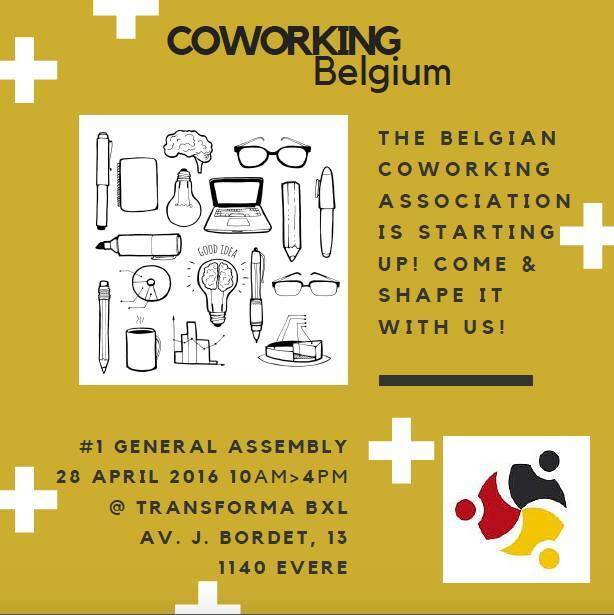 The Coworking Belgium Association is inviting all coworking space managers in Belgium to its first general assembly. Join this co-creation gathering to shape the future of our organisation together. Co-write the Coworking Manifesto: An invitation to our stakeholders to promote Coworking with us: On the model of Startup Manifesto Belgium, we need to have clear goals, and a clear communication to our stakehodlers (Federal, regional & local governments, business organisations, chambers of commerce, unions, etc. ). What is the impact of coworking on Belgium? What do we need to do to boost coworking in Belgium? and what are our demands from policy makers? World Café: Who we are? What we do? What do we want to achieve? Add your coworking space to this list?